By Benjamin Bathke March 27, 2019, 9:59 a.m.
A pack of burgeoning “slow journalism” startups is trying to find out. With taglines like “Slow down, wise up” and “We prioritize knowledge over speed,” these digital-first outlets place their bets on two converging trends: a growing need to elude what has been labeled “content overconsumption,” “information overload,” and “news is noise” in favor of more “finite,” “manageable,” and “digestible” news apps and content; and the factual or perceived shortcoming of the media that it is great at telling us what has just happened, but less good at explaining significant developments. Born out of the frustration at the quality of journalism from the mainstream press, slow journalism sprung into existence around 2011 with the launch of UK quarterly print magazine Delayed Gratification. Around a dozen or so new publications and books later, the rise of the dual consumer trend demanding a slower kind of journalism and actively looking to miss out is conspicuous. Now the question becomes: Can slow journalism serve as an alternate for news fatigue — and news avoidance? And can media startups capitalize on news consumers’ disenchantment with an offer people are willing to pay for? One of the hallmarks of slow journalism is giving readers a realistic chance to consume everything before more content arrives. That’s why members of British slow-news outlet Tortoise Media receive no more than five articles per day in its “slow newsfeed,” as co-founder and publisher Katie Vanneck-Smith calls it. Launched on January 14 with 2,530 founding members, London-based Tortoise is currently in beta and plans to go live in April. Vanneck-Smith cofounded Tortoise with James Harding, former director of BBC News, and Matthew Barzun, former US ambassador to the UK. During its monthlong Kickstarter campaign last fall, the trio raised nearly £550,000 (US $692,000) in addition to an undisclosed sum from a group of eight private investors — enough runway to “build a sustainable model for journalism” over three years, according to Vanneck-Smith. Before Tortoise goes live in April, the editorial team is testing different publishing cadences and formats, which have so far included the daily edition’s five original pieces, a roundup of stories the newsroom is discussing, a “picture of the day,” and a short cartoon. Tortoise presently has 40 employees and over 5,000 founding members. While membership fees will be the dominant source of income, according to Vanneck-Smith, Tortoise’s business model will rely on two additional revenue streams: data research (“Tortoise Intelligence”), essentially a series of long-term data-driven indexes in collaboration with “brands and partners,” and commercial partnerships with “up to ten brands associated with all of Tortoise’s products and formats,” such as convening exclusive, on-site ThinkIns similar to the TED Talks model. The second pillar of Tortoise’s slow journalism ethos — in addition to addressing the “news has become noise” issue — is overcoming what its founders call the “power gap” by giving its members a literal seat at the table during their live events. “[ThinkIns] are a system of organized listening to get members’ experiences and perspectives into our thought process and have a better informed point of view,” Vanneck-Smith told me. So far, Tortoise has organized some 50 ThinkIns inside and outside their newsroom with crowds ranging from 35 to 90 and topics like migration, taxes and nuclear energy. Although the “slow down, wise up” promise is at the heart of Tortoise’s value proposition and perhaps the biggest draw for founding members (providing a solution for “news has become noise” was the number one reason Tortoise backers cited for becoming members), it is only one piece of the puzzle, especially when it comes to retention, Vanneck-Smith says. But there may be some drawbacks to the approach, such as the inevitable limitation of the audience size with a paywall and the minimal output. Vanneck-Smith said the number of people reading Tortoise’s stories is ten times higher than the size of their membership base, thanks to members and editors sharing articles via affiliate link. “This also drives membership,” she added. The publishing “speed” of Copenhagen-based digital newspaper Zetland is even slower than Tortoise’s daily output. Just two stories on average land in members’ inboxes, at 5 AM Danish time each weekday. At Zetland, giving readers a realistic chance to complete all of its daily content is called the “finishable feature.” That way, members “don’t feel the urge to constantly check back to Zetland’s website for new content,” co-founder and editor-in-chief Lea Korsgaard said. “The main problem for people who are attracted to Zetland is the feeling of being bombarded with news and having trouble finding solid, in-depth journalism that’s worth their time,” Korsgaard said. “You can’t finish a news feed, but you can finish Zetland, and that is just very nice, you know: ‘OK, that was the lesson for today, now I’m off out in the sun, talking to a friend. '” Similar to Tortoise, 35 percent of Zetland’s subscribers state that the “manageable number of articles” is either the primary or one of the primary reasons for becoming a member. 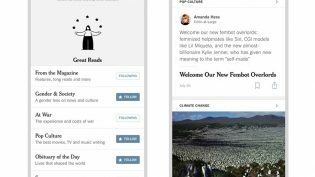 For 129 kroner (US $19.65) per month or 1,288 kroner (US $196.15) per year, members get about two in-depth stories about politics, society and/or culture each weekday along with a newsletter about the day’s most important headlines as well as a news podcast, which dives into the day’s most important story. Although Zetland isn’t profitable yet, it already has approximately 10,000 subscribers, has raised an undisclosed “single-digit million dollar amount” since its launch in 2012, including $82,661 from a crowdfunding campaign, and expects to break even this year, according to co-founder and CEO Jakob Moll. 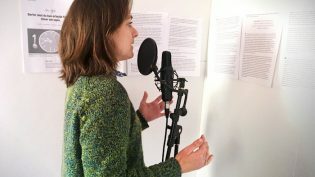 Each article is also published in audio format, with a short personal note from the author about what the story meant to them before they begin telling it. Zetland, which currently has 25 editorial staff, also publishes an audio version of that daily newsletter that aggregates other media organizations’ stories, too, driven by the members’ requests. Like Tortoise, Zetland also puts on live events, and both have a sleek, ad-free design without hyperlinks or notifications. Nieman Lab has written before about how frequently the organization tries to solicit input from members, like when they asked for suggestions for their newsletter name (“Helikopter” came out on top), for “it’s your readers and your members who should have the last say in how your product is [done],” as Korsgaard put it. Here, too, Zetland resembles Tortoise in that getting involved in live events, codetermining things like the layout, and having a say generally is part of the slow journalism appeal for members. “There are important events and phenomena that we simply don’t cover, because we decide to focus on other things,” he explained, adding that members “use other news sources” as well. Moreover, Zetland’s market is tiny compared to Tortoise’s: Less than six million people worldwide speak Danish. “There’s a business case to fit into a reader’s day,” Hassan’s colleague Kika Gilbert told me. “We are ultimately a subscription business. The more our readers feel connected to us and want to spend more time with us, the more likely they are to subscribe.” Gilbert and her team have pushed several updates since the launch, including adding more channels (70 at present). They have also started testing push notifications so “readers know when the stories they care about are published,” Gilbert said. The Times, which publishes around 250 stories a day, brought in $709 million in digital revenue from some three million digital subscriptions last year. While the less is more approach of slow journalism is certainly a trend in itself, it’s also part of the larger “time well spent” movement, which not only criticizes the “zero-sum race for our finite attention” and social media’s “addiction by design,” it also promotes digital detox and other practices to protect our minds. Even tech giants have started heeding this growing demand by offering “digital wellness” features like Apple’s Screen Time. As the number of people becoming aware and concerned about negative consequences of technology and social media consumption on our mental health, relationships and society continues to grow, so too may the number of potential paying members for slow journalism outlets. Stossel, who currently works for the Center for Humane Technology in Silicon Valley — a driving force behind the “time well spent” movement — says publications like Zetland with membership-focused business models and a regard for readers’ time are not only good for their audiences’ mental wellbeing; he thinks their approach could also give them a leg up on those competitors fighting for subscriptions as well as those who rely on clickbait headlines and ad revenue to make ends meet. With that in mind, can Tortoise, Zetland and other publications jumping on the slow train win the race with their unhurried yet steady approach? At first glance, of course, a lot of that will depend on each outlet’s ability to attract and retain enough members by being different and good enough to justify its price. But upon closer inspection, there are a few commonalities that seem to have worked for Tortoise, Zetland and a few other outlets I came across during my research: a) a “manageable” output, b) meaningful, quality journalism that helps members make sense of the world, c) involving members in some way, especially editorially, d) focusing on membership and live journalism, and e) crowdfunding, primarily to build a loyal membership base eager to play an active part. Another key question is whether people can resist social media-induced FOMO (“fear of missing out”) and stick to their slow journalism membership(s) for the long haul. After all, people may say they want to escape the constant disruptions and distractions, but in practice they might get drawn to the “now” by the addictive nature of more immediate content. I, for one, feel as if I’m too reliant on getting information from a diverse diet including social media, podcasts, radio and newsletters to be able to focus on one or few publications as a news source(s). Whether slow journalism’s membership model can overcome the persistent unwillingness of the majority of people to pay for any online news is also a question mark. In the UK, for instance, just three percent of people paid for an ongoing news subscription in 2016, according to the Reuters Institute 2017 Digital News Report. (The average across all nations was 11 percent.) Loyalty, or “stickiness,” could also prove to be a challenge. A 2017 study of computer users in the UK, for instance, showed that very few British big brands had the sort of loyalty needed to drive subscriptions, among them the BBC, the Guardian and the Times, which “likely makes it hard to charge for content.” Unlike big and small legacy media, which are increasingly trying to shift from ads to subscriptions, however, the membership model is relying on subs as their financial foundation to begin with, which might make it easier for them to build a loyal member base than for small incumbents. Concerning the slow journalism movement as a whole, perhaps the single most important question is how many of the millions who “feel worn out by the amount of news” slow news publications can turn into paying members. But no matter if slow journalism is a swift revolution in the making, or if Tortoise, Zetland and its peers will stay unhasty niche publications, slow journalism likely won’t go anywhere — at least not quickly. 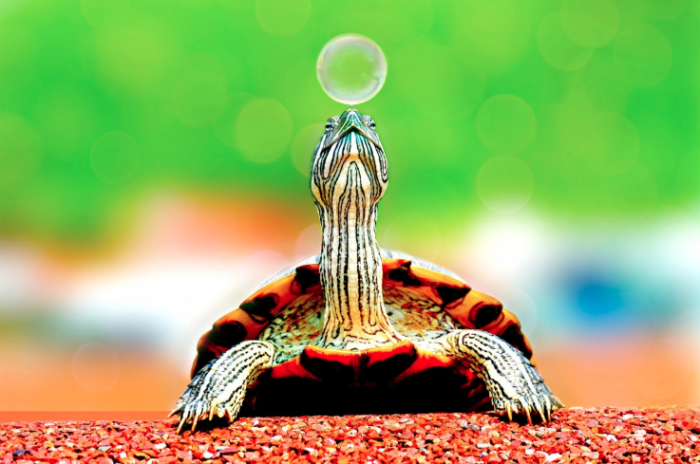 Image of a tortoise slowly popping the news bubble used under a Creative Commons license. POSTED March 27, 2019, 9:59 a.m.
Bathke, Benjamin. "Slow down, read up: Why slow journalism and finishable news is (quickly) growing a following." Nieman Journalism Lab. 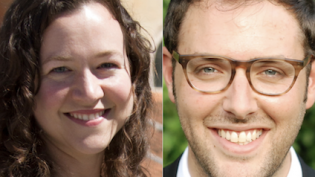 Nieman Foundation for Journalism at Harvard, 27 Mar. 2019. Web. 23 Apr. 2019. Bathke, Benjamin. "Slow down, read up: Why slow journalism and finishable news is (quickly) growing a following." Nieman Journalism Lab. Last modified March 27, 2019. Accessed April 23, 2019. https://www.niemanlab.org/2019/03/slow-down-read-up-why-slow-journalism-and-finishable-news-is-quickly-growing-a-following/.